The cherry beverage center stands out along the back wall of the kitchen. 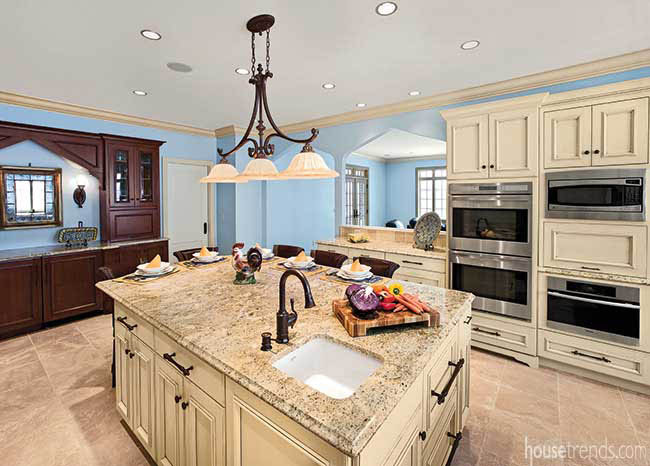 The island and perimeter counters are topped with Persia Gold granite. Cleaning up after a meal might seem like a mundane task, but with views like this even a sink full of dishes can’t ruin the ambiance or your mood. 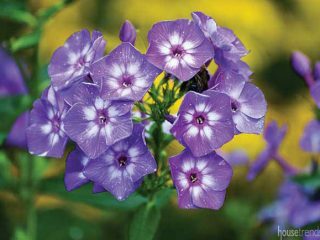 Ligonier, noted for its quaint downtown square and small-town charm, is also known for its rolling hillsides and rural atmosphere. The picturesque view isn’t the only impressive element in this kitchen. 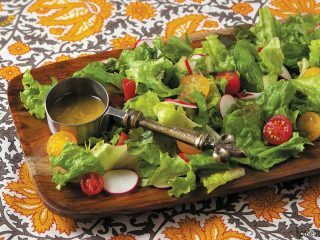 Equally stunning is the elegant décor, created with a great eye for detail, of this culinary masterpiece. 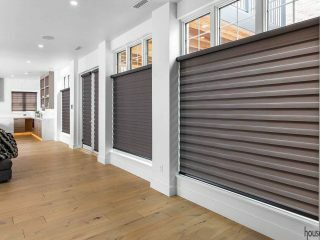 The homeowners enlisted the help of Ida McConnell, CKD, of Cuvee Kitchen Designs, to help bring their vision to life. 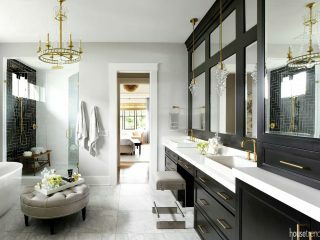 “The home features a heavy French Tudor design and they wanted that theme to carry over into the kitchen,” McConnell says. In addition to the French design, the homeowners spend a lot of time in the kitchen. 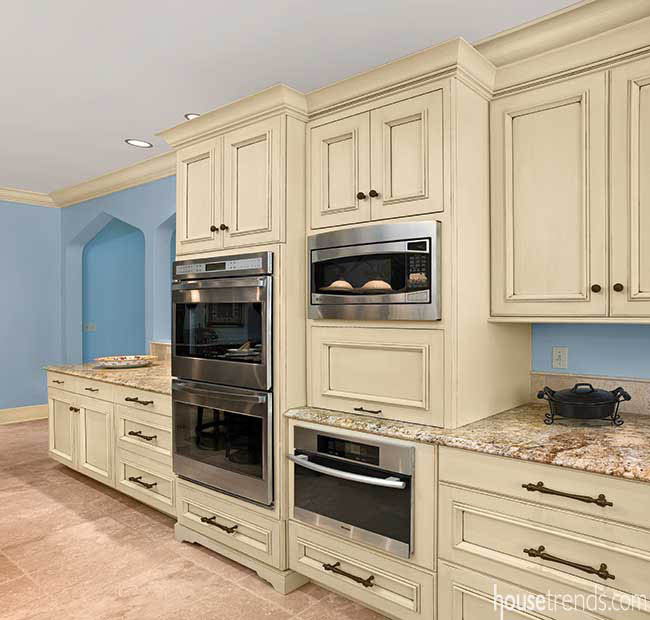 “He enjoys cooking and she likes to bake, so having plenty of counter space was a necessity,” McConnell says, pointing out the perimeter countertops and double islands. While some might call it a challenge, McConnell calls the abundance of space set aside for the kitchen an advantage. In fact, she asked the architect to widen the room by two feet. 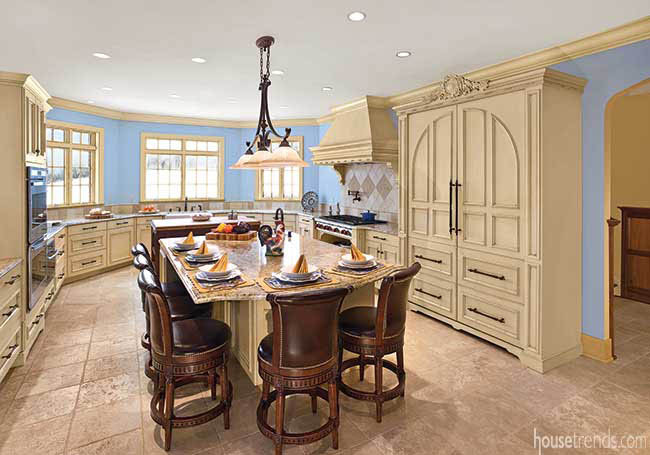 This gave her the space to add the two islands, one of the dominating features in the kitchen. “The homeowners were worried a separate breakfast table would clutter the space, so they wanted to make sure the island could accommodate seating,” McConnell adds. The island, measuring roughly 5×9 feet, boasts seating for five, plus a prep sink and plenty of storage. 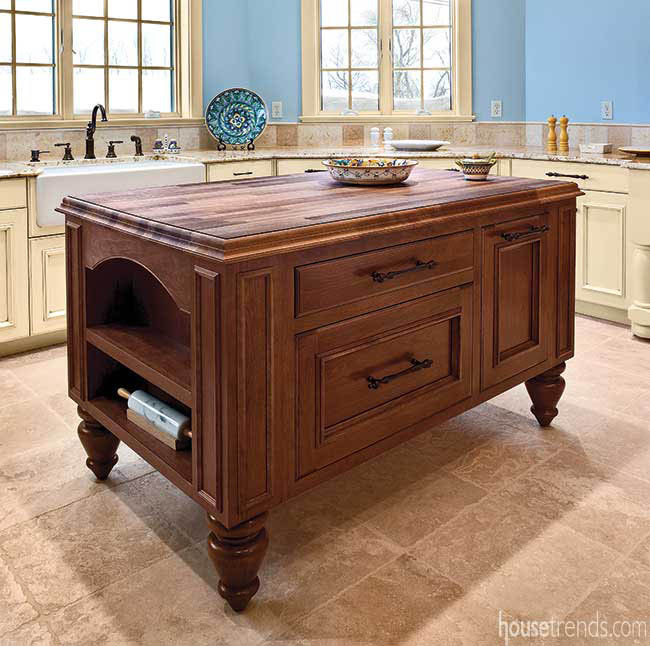 The prep island is conveniently located nearby and features an Iroko butcher block top and a cherry cabinet base. 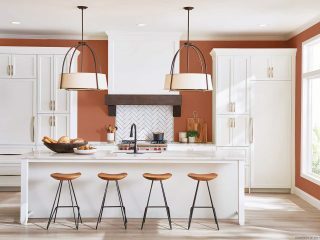 “The cherry provides a nice contrast to the surrounding cream tones, it really complements the bar stools and brings out the dark hue of the hardware,” McConnell says. 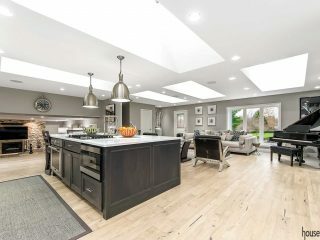 The size also allowed McConnell to essentially create individual cooking stations so the couple could be in the kitchen, baking and cooking dinner, but not feel as if they are on top of each other. The 48-inch Wolf range has its own dedicated space, with countertops flanking both sides and two open shelves below for pot and pan storage. The refrigerator and freezer, with companion pull-out drawers, are strategically hidden behind panels and resemble a piece of furniture, thanks to intricate carvings and crown molding. The homeowners selected a charming shade of country blue for the walls, which gives the kitchen a crisp and clean palette. McConnell based the color scheme for the cabinetry off the soft shade of the walls. 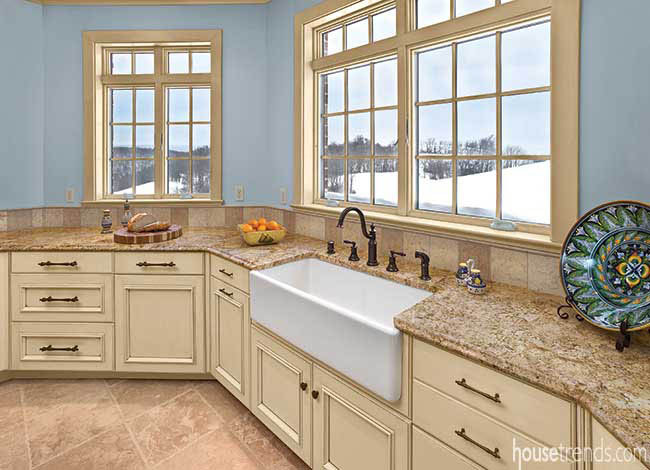 She suggested a cream tone for the large island and perimeter cabinetry. “These cabinets also feature a chocolate brushed glaze, which complements the cherry prep island and beverage center,” she says. The beverage center was an important element for the homeowners, who entertain often. The piece, which also resembles furniture, is the perfect spot for serving coffee, tea or hors d’oeuvres as they entertain guests in the nearby family room. 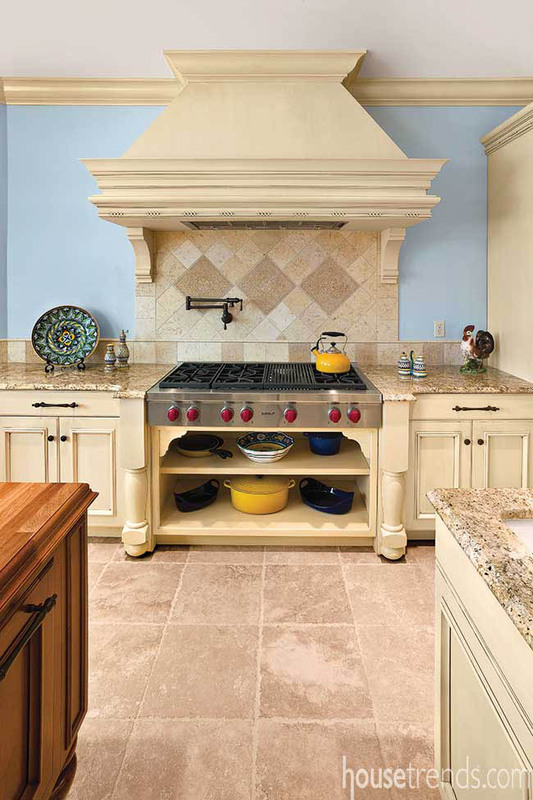 The earth tones of the Persa Gold granite countertops and limestone flooring and backsplash complete the design.